This is an every morning thing. 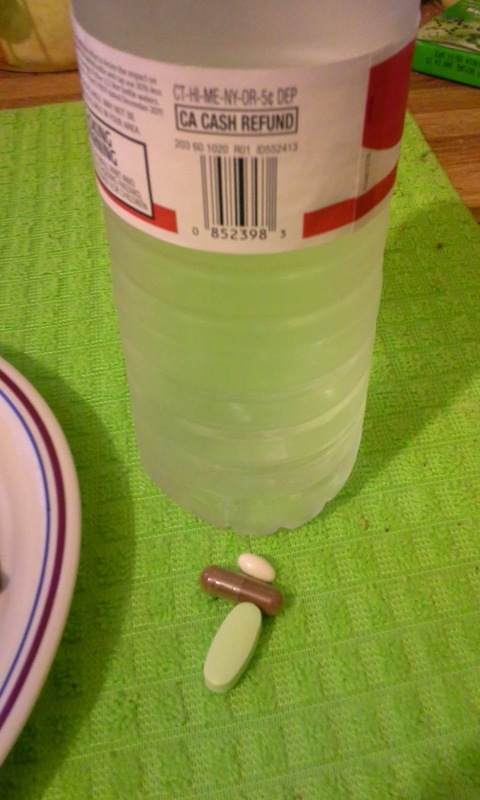 I drink a bottle of water and take all of my vitamins. I will be doing a post on the vitamins that I take in the next couple of weeks, so you can keep an eye out for that. 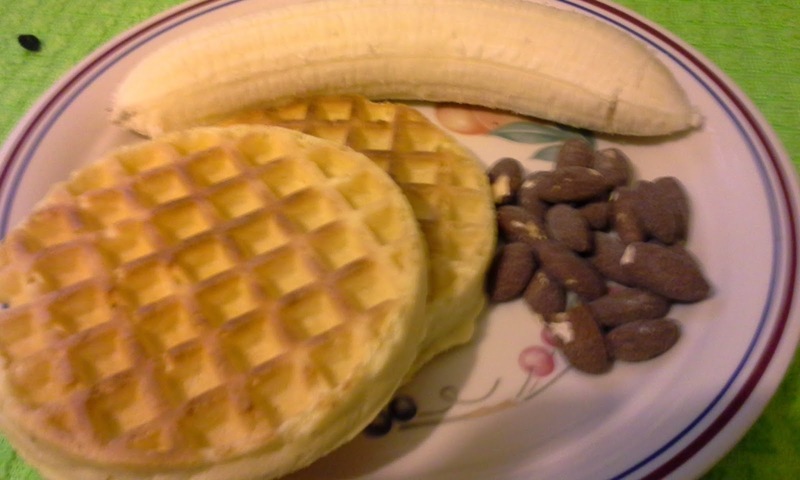 This was a semi-quick breakfast, meaning it didn't require me to cook very much :) I had a banana, two waffles and some mocha coffee almonds. These things are delicious and have a good bit of caffeine in them. In 1 oz, it has as much caffeine as 2 oz of coffee! For lunch, I stopped by Panera to pick something up. 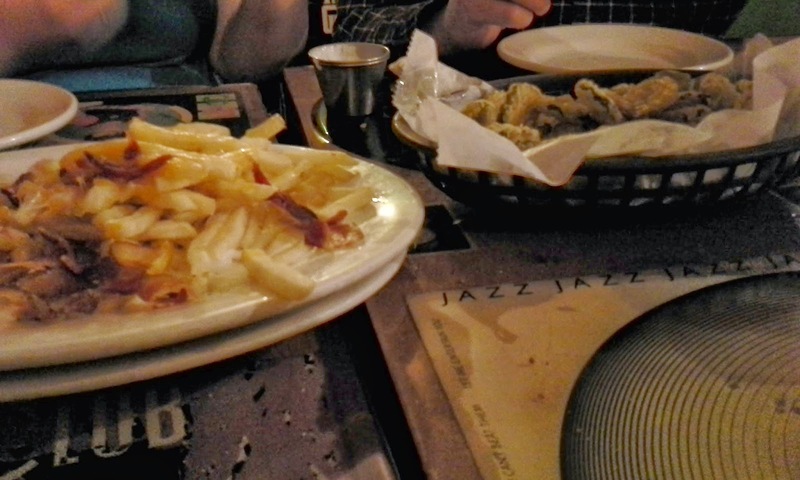 I got the pick two meal. 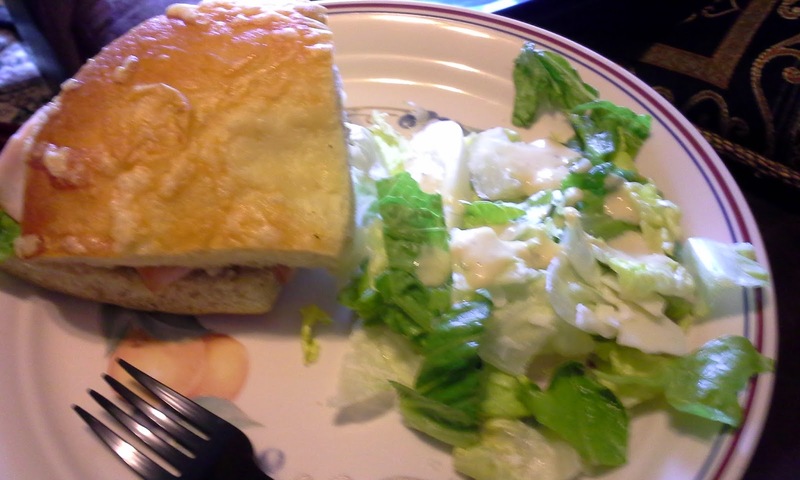 I got it with the Sierra Turkey sandwich (so it comes with half of it) and the Caeser salad (it comes with half of a salad, I ate half of what they gave me, so I ate a quarter of the salad). It was really delicious and I made sure I got lots of veggies in. And for the main course, I had a burger with a fried egg and cheddar. I left the lettuce on my burger, but took the onion off. 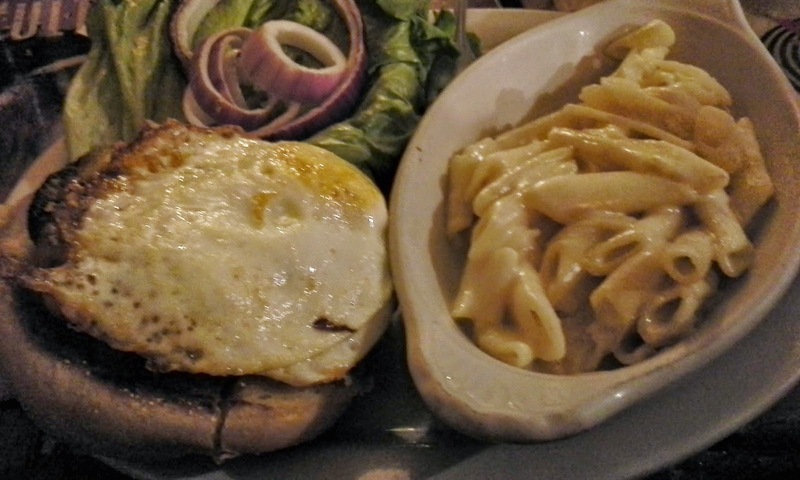 I got the mac and cheese with the burger (I should have gotten something healthier). I did eat all the mac, but didn't finish the burger. They were both pretty good. So there you have it guys. What have you been eating on lately?